The Yorkshire Dales National Park has to be one of the best places in England for enjoying outdoor life. 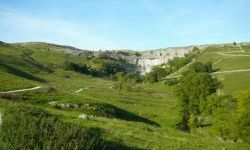 There are a variety of possibilities when it comes to activities in the Yorkshire Dales. ©www.yorkshiredalesengland.co.uk 2019 - All rights reserved. Yorkshire Dales England and yorkshiredalesengland.co.uk are trading names of XE Website Solutions Ltd.